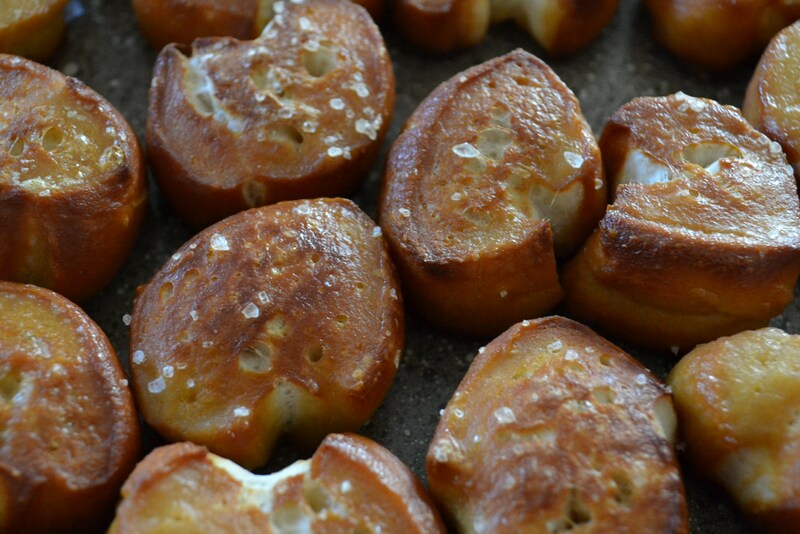 When our girl, Lyndi decided that she was having a huge craving for–of all things–pretzel bites, well…what could we do? Some requests simple must be respected, especially when they are this incredible. And to top it off–aren’t they just the cutest things? Almost makes you sorry to eat them. Ok, no it doesn’t. What it really means is that you can wolf them down even faster. Hee hee…. 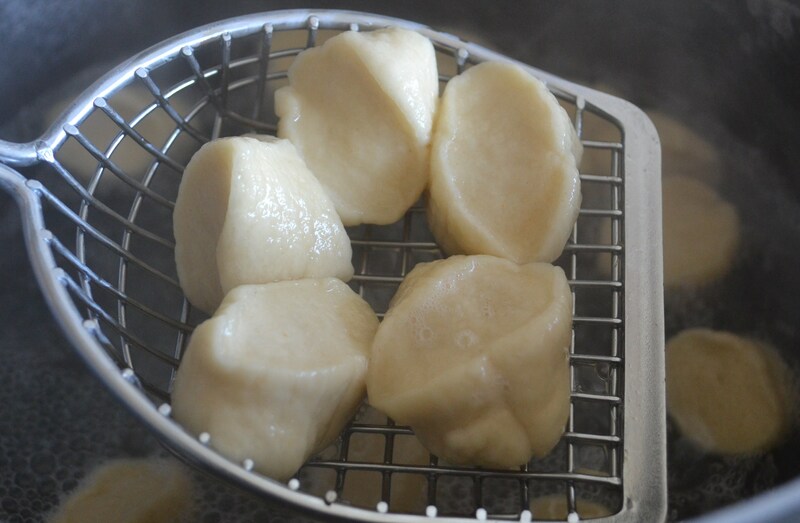 In the bowl of a stand mixer, combine warm water, sugar, yeast, and melted butter. Mix with the dough hook until combined. Let sit for 5 minutes. Add salt and flour then mix on low speed until combined. Increase the speed to medium and knead until the dough is smooth and begins to pull away from the side of the bowl–about 3 to 4 minutes. Remove the dough from the bowl, and knead into a ball with your hands. Grease a bowl–I used butter. Add the dough and turn to coat on both sides. Cover with a clean damp towel and let rise in a warm spot until it doubles in size–about 1 hour. Preheat the oven to 400 degrees. Oil or grease 4 baking sheets. 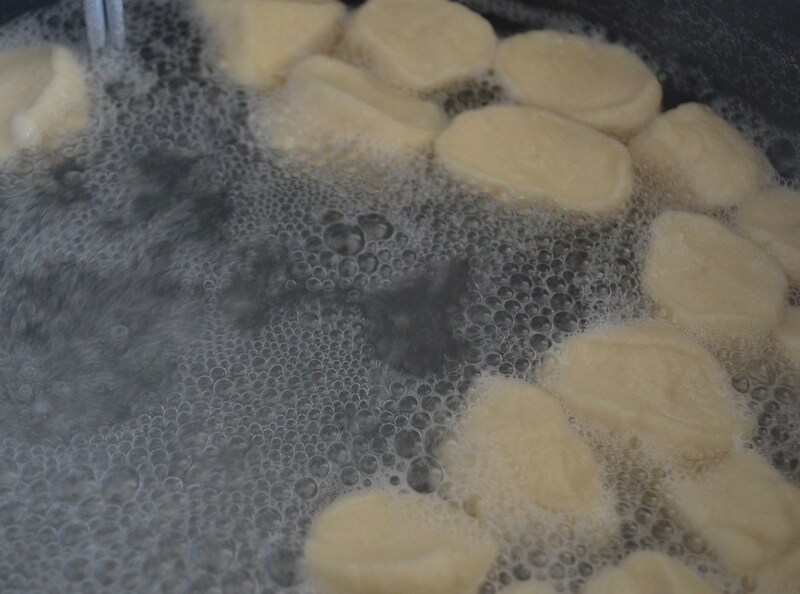 Bring the water to a boil in a large pot over high heat and add the baking soda. 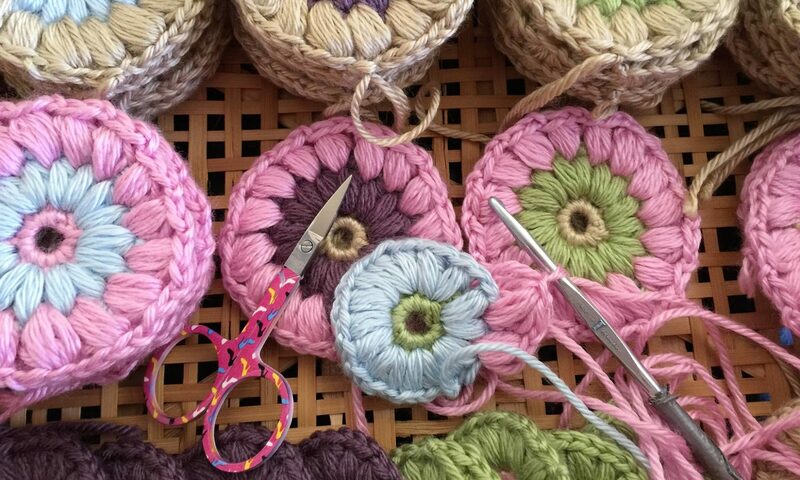 and roll each piece into a rope. 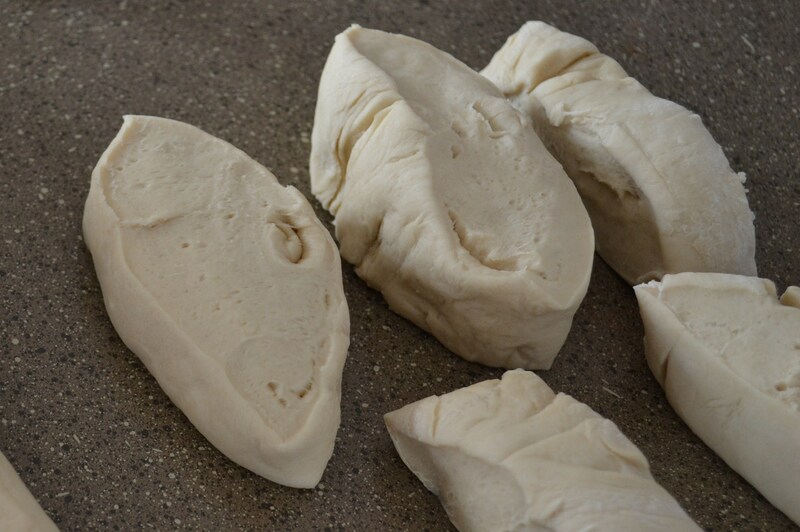 Cut the dough into one inch pieces. 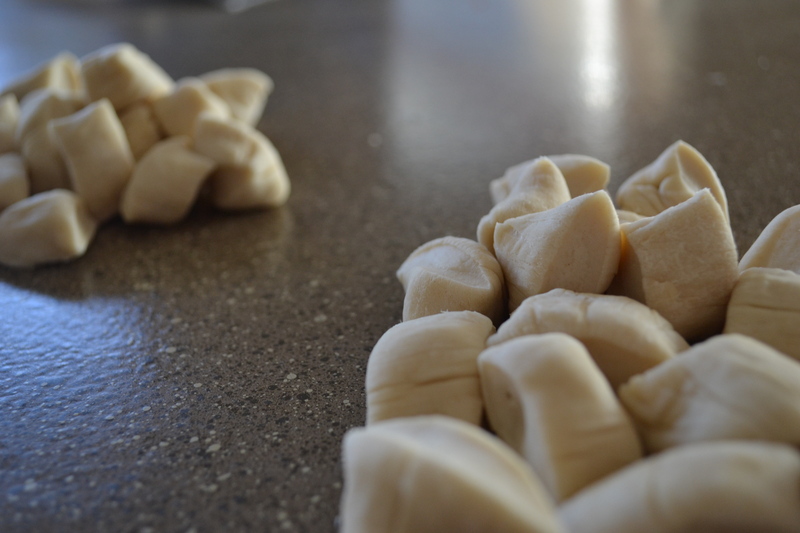 In small batches–15 to 20-ish, boil the pretzel pieces in the water solution for about 30 seconds. place them on baking sheets. They’ll be kinda slippery but make sure they are not touching each other. and sprinkle with coarse sea salt. 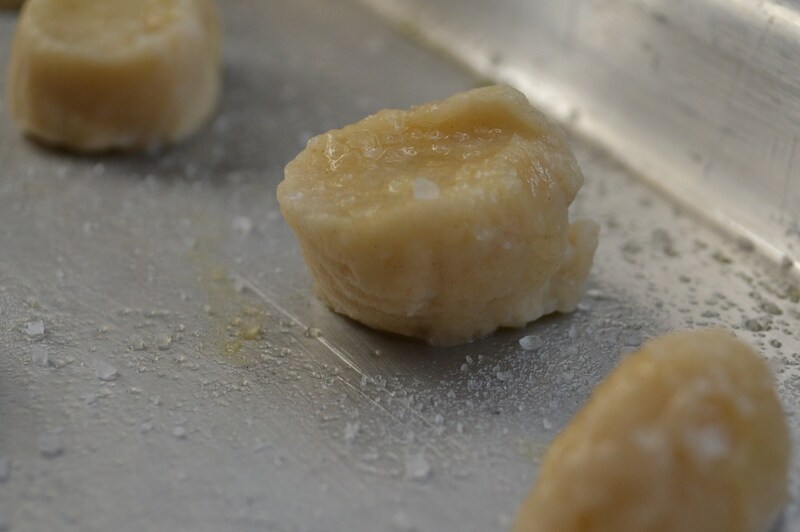 In the bowl of a stand mixer, combine warm water, sugar, yeast, and melted butter. Mix with the dough hook until combined. Let sit for 5 minutes. Add salt and flour then mix on low speed until combined. Increase the speed to medium and knead until the dough is smooth and begins to pull away from the side of the bowl--about 3 to 4 minutes. Remove the dough from the bowl, and knead into a ball with your hands. Grease a bowl with butter. Add the dough and turn to coat on both sides. Cover with a clean damp towel and let rise in a warm spot until it doubles in size--about 1 hour. Oil or grease 4 baking sheets. Bring the water to a boil in a large pot over high heat and add the baking soda. 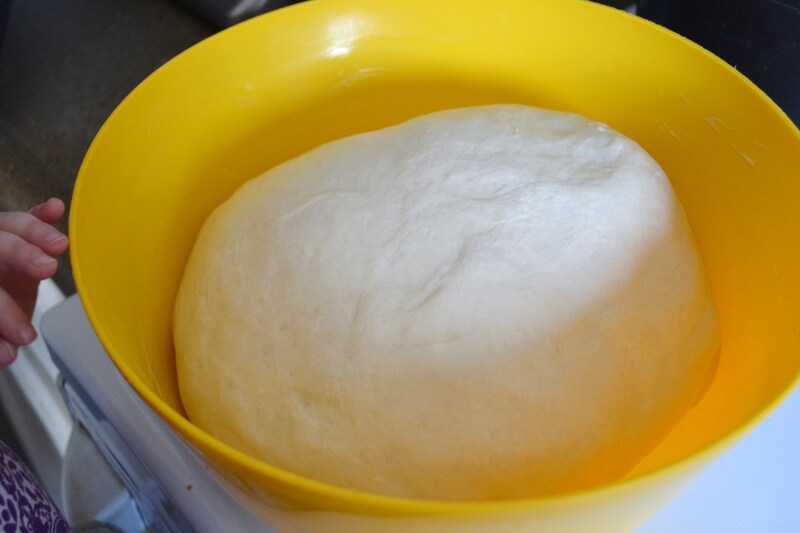 Remove the dough from the bowl and place on a flat surface. 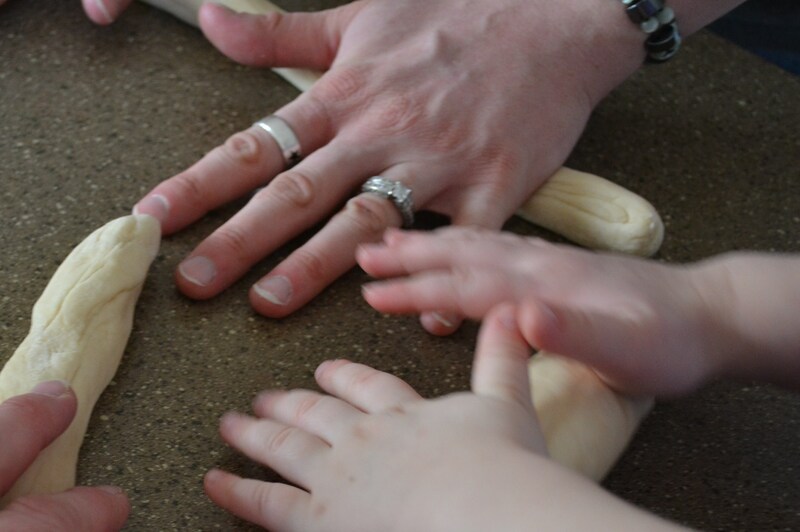 Divide the dough into 8 equal pieces and roll each piece into a rope. 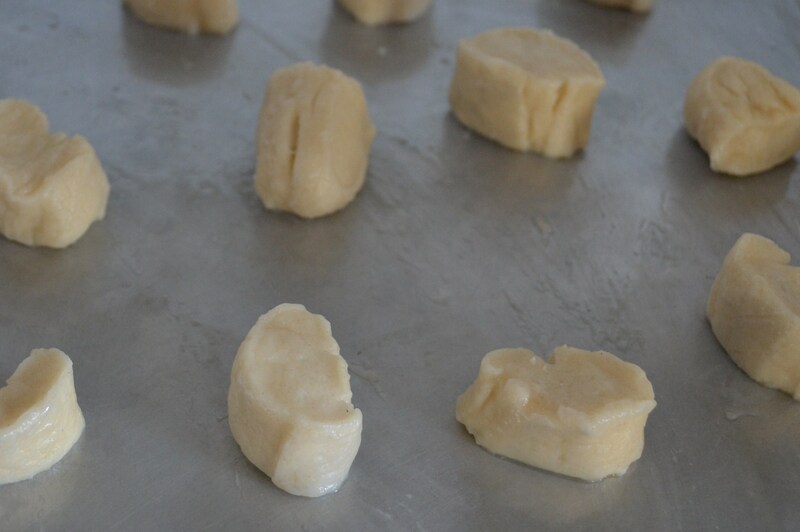 Cut the dough into one inch pieces. In small batches--15 to 20-ish, boil the pretzel pieces in the water solution for about 30 seconds. 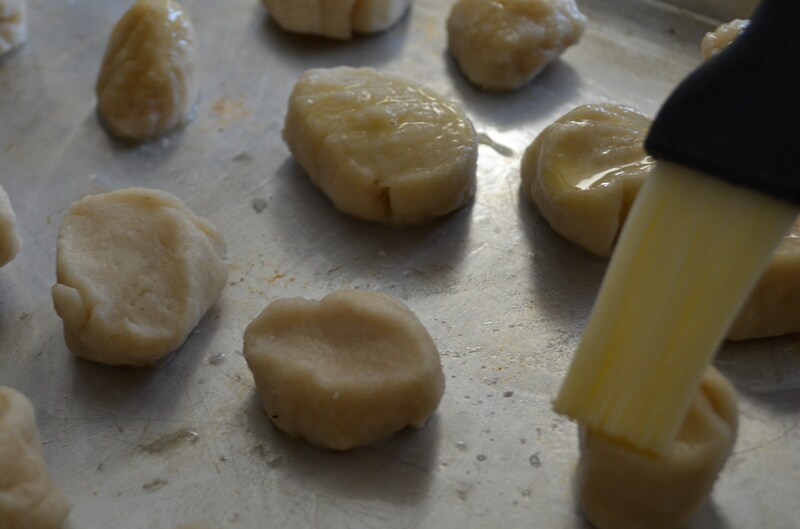 Remove with a large slotted spoon and place them on baking sheets. Make sure they are not touching. Brush the tops with the egg wash and sprinkle with coarse sea salt. Bake for 12 to 16 minutes, or until golden brown. Remove to a baking rack and let rest 5 minutes before eating. Wow, no wonder your kids worship everything about you! You’re amazing. These were so, So, SOOO good! 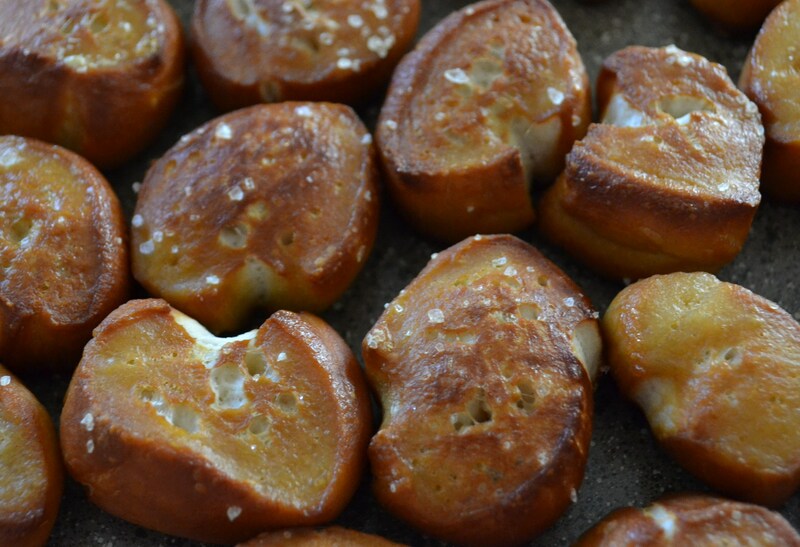 I love soft pretzel and these were perfect! 😀 Thank you SOOO much for making them! I was pretty surprised how easy they were. YUM!! !